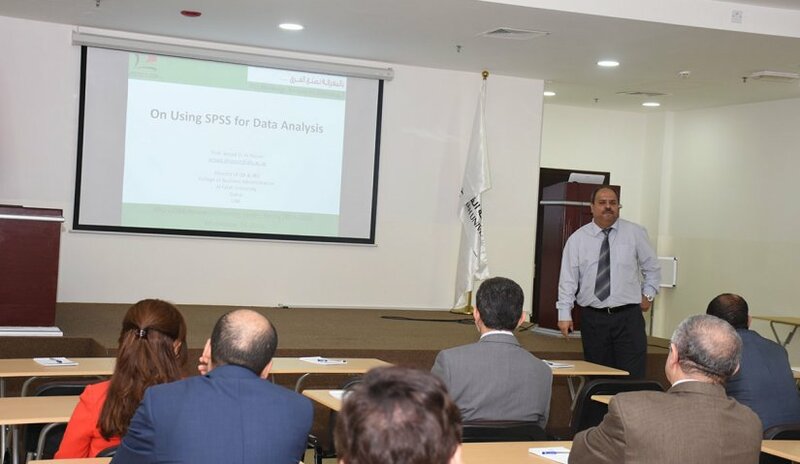 Al Falah University organized a workshop for the faculty members titled "Course Learning Outcome Analysis” in order to improve the delivery of the courses it offers and to enhance their development. 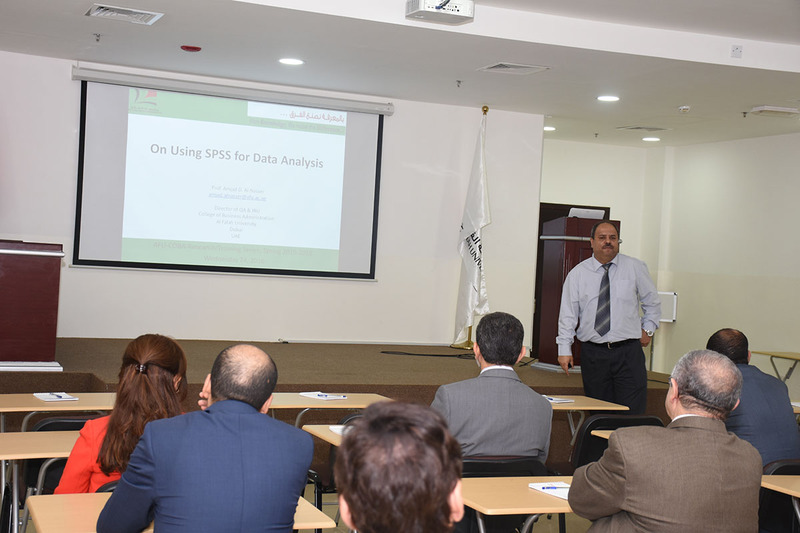 During the workshop, Prof. Amjad Al Nasser, Director Quality Assurance & Institutional Research Unit, explained various areas and modes of instruction in relation to the results achieved in the first semester of the academic year Fall 2015-16. The results of all the evaluations ranging from class quiz to the midterm and final exams were analyzed and the students as well as the teachers’ performance were evaluated. Al Falah University will continue to work on the development of its faculty members through such endeavors and achieve the goal of providing high quality education. This week, Al Falah University!